Visited Hopman's for some brewing supplies and Noble Fish Japanese Market to find short grain polished rice. Success on both counts. 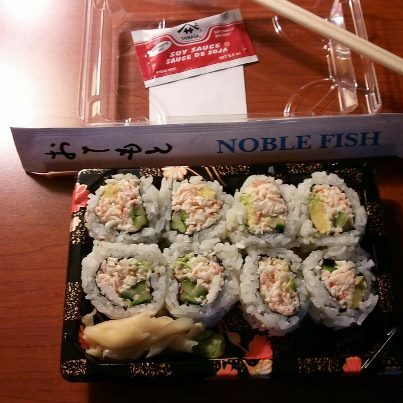 Noble Fish is run almost exclusively by Japanese, the older people were very respectful of an old white guy that actually was making sake from scratch. Got a giant strainer, some real straining bags and other supplies from Hopman's. What a nice store, everything you could need for beer and wine brewing. Marilyn got a cheese making kit so fresh mozzarella and ricotta are in the near future. We have to find milk that is not "ultra pasteurized", haven't really looked yet. 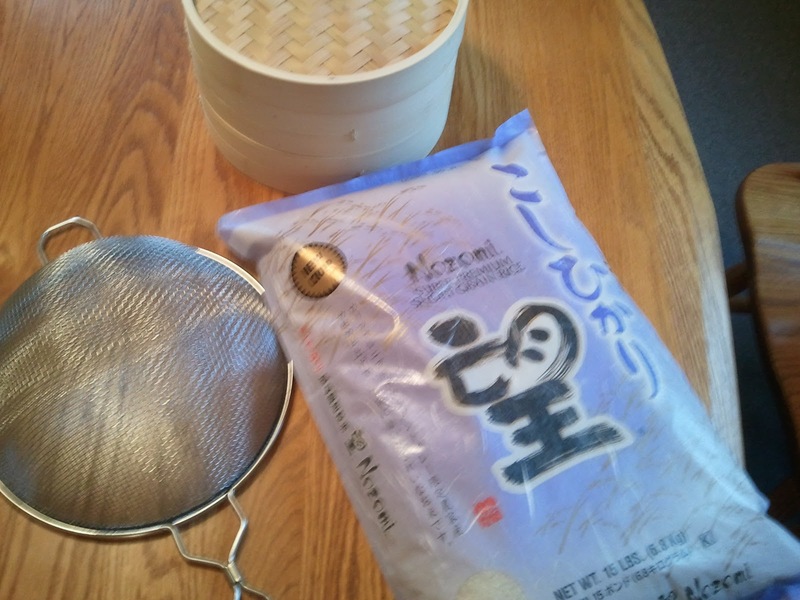 At Noble Fish we got a bamboo steamer, a fifteen pound bag of Nozomi premium short grain rice for more sake brewing. They are famous for high quality reasonably priced sushi. I got an eight-pack of California Rolls and they were excellent. Very fresh, cucumber, avocado and crab meat. No raw fish, hoping Marilyn would try them. Not. Perfect amounts of pickled ginger and wasabi. I'll be back. Sampled the sake pictured below last evening. It is very good, a bit drier than the last batch and likely higher in alcohol by volume. It fermented most of the time below 60 F, down in the low fifties for much of the time, just short of four weeks in primary fermentation stirred each day. It went longer than I thought it would and was a little worried that it might be a bit bitter from lactic acid build-up. The low temperature likely slowed fermentation in a good way. I tasted it both the clear stuff and the combined stuff as it is supposed to be, the milky stuff has the nicer flavor. There is another batch still going strong, with new rice and new Koji Kin I'll probably start another batch in the morning.